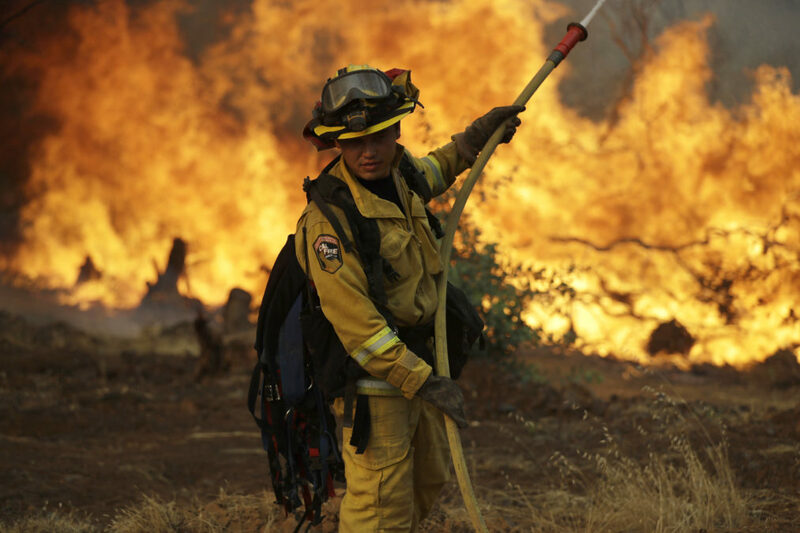 In Redding, Calif., a firefighter makes a stand in front of a wildfire as it approaches a home Saturday. UTE PARK, N.M. – Bill Allen pointed to a north-facing slope of blackened pine and juniper forest. A thin vortex of pale white ash, picked up by a hot morning wind, rose from the black and gray landscape a wildfire left behind. Like all wildfires, the Ute Park Fire was dangerous and expensive. But no one died and crews saved every home – thanks in part to a century of hard-won firefighting knowhow. Federally funded scientists have been seeking new methods and technologies to predict, prepare and respond – critical for safeguarding people and property. They have discovered ways to reduce risks before fires and restore land and waterways afterward. And they explore how fuels, flames, terrain, smoke and weather interact. 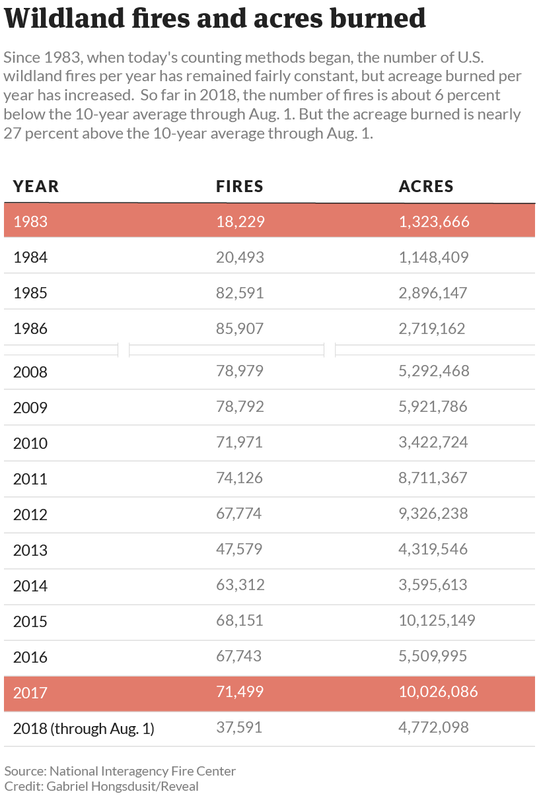 Since 1983, about 72,000 fires have burned the American landscape every year. That number has not grown. But the acreage has – 10 million acres burned last year, which is nearly eight times as much as in 1983. The U.S. Forest Service, Interior Department, National Oceanic and Atmospheric Administration, Environmental Protection Agency and even the Defense Department have roles. Fire research budgets at these agencies, always small and declining for decades, would take a major hit under Trump’s fiscal 2019 budget. 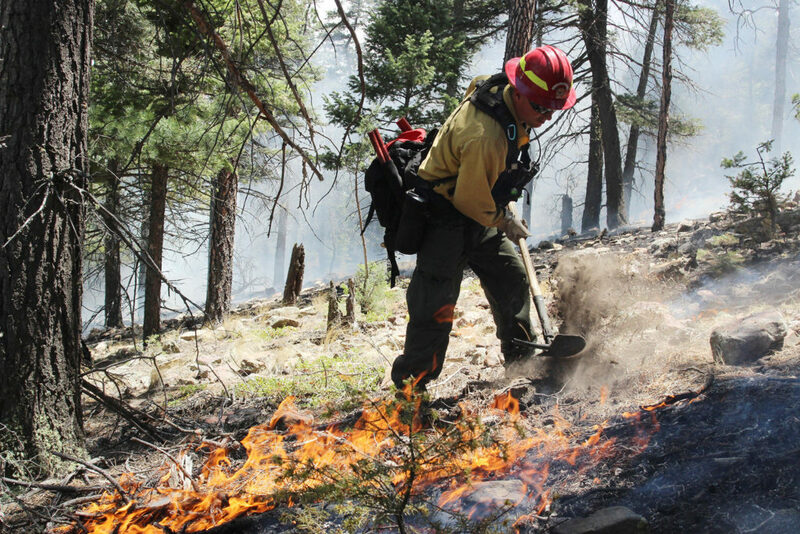 Bea Day, incident commander of a federal-state wildfire team based in New Mexico, said fire and smoke models developed at forestry department research labs – whose budgets are targeted for cuts – helped map her team’s daily strategy to fight the Ute Park Fire. Also in the toolbox are geographical information systems, global positioning systems, satellite observations, air quality monitoring and other science products. The research “has changed the culture and knowledge base around wildfire,’’ said Zander Evans, a scientist and executive director of the nonprofit Forest Stewards Guild, a group of foresters. “Cimarrón,” a Spanish word for “wild,” came to describe the geography and history of Colfax County. The Cimarron River, on its way to the Canadian River, has carved dramatic vistas through the Sangre de Cristo Mountains. Since 1939, about 1 million scouts and leaders have encountered the wild at the Boy Scouts of America’s Philmont Scout Ranch, which covers 140,177 acres around Ute Park and the village of Cimarron. Nearly three-fourths of the Ute Park Fire was on Philmont land. 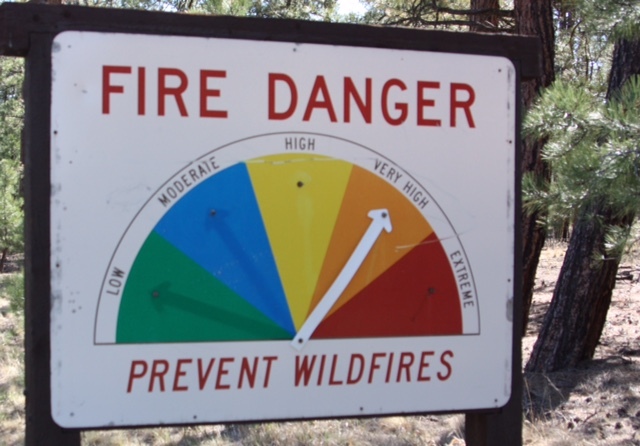 Extreme fire danger has prompted Philmont to close its backcountry activities for the first time in its history. Cimarron Canyon has seen bigger fires – one in 2002 burned about 92,500 acres – but the Ute Park Fire was closer to the village, coming within a mile. In five hours, it had grown to 1,500 acres; in seven hours, 4,500 acres. It kept growing. The night sky was ablaze. Such knowledge could vastly improve computer models for firefighting – for example, letting incident managers send a drone ahead of a fire to map fuels with fresh data. Then a model could accurately predict where flames and smoke would go. That could save lives, property and money. The Forest Service’s research budget – including its fire sciences laboratories – already was suffering before Trump. 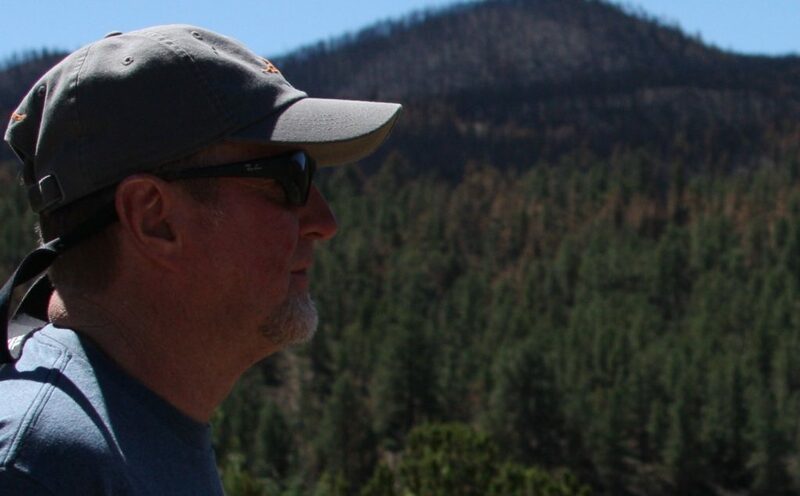 Years of cuts have decimated science staffs, said the University of Arizona’s Falk, who studies fire ecology and resilience in a changing world. For instance, the Joint Fire Science Program used to get about $13 million a year, but took a steep drop in 2011, never to recover. Last fiscal year, it got $6 million; this year, half that. 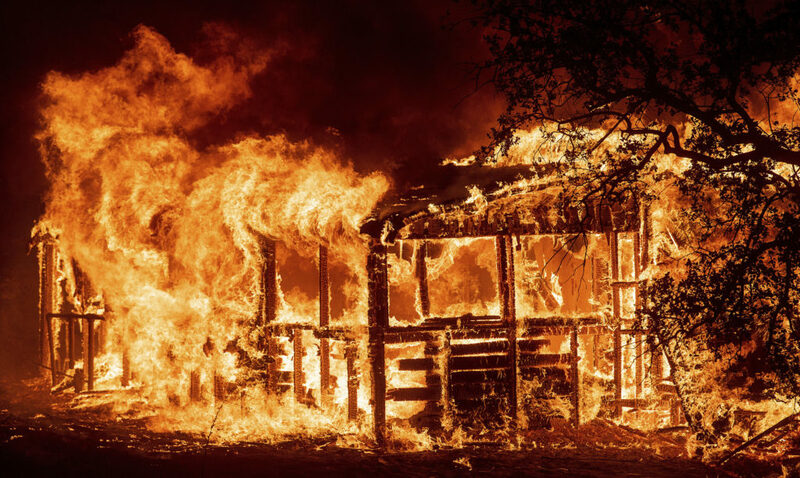 Local officials, researchers and foresters in some of the country’s most fire-prone regions – where the quality of fire science can mean life or death – have asked Congress to restore the funding. Randy Lee Loftis can be reached at randyloftis@gmail.com. Follow him on Twitter: @RandyLeeLoftis.